Gottlieb v. Bossio & Assoc. A Prof’l Law Corp. (In re Labib), 2013 Bankr. LEXIS 4661, 2013 WL 5934326 (Bankr. C.D. Cal. 2013). In re Flores, 2013 Bankr. LEXIS 4984, 2013 WL 6186262 (Bankr. C.D. Cal. 2013). Haberbush v. Charles and Dorothy Cummins Family Ltd. Partnership, 139 Cal. App. 4th 1630; 43 Cal. Rptr. 3d 814 (Cal. Ct. App. 2006), review denied, 2006 Cal. LEXIS 10482 (Cal. 2006). Marcus Tompkins is a general business transactional attorney, with expansive experience on matters involving bankruptcy, insolvency and creditors’ rights. More recently, he has been focusing on the regulatory aspects of the health care industry while representing hospitals and other institutional providers, and physicians. Marcus received his law degree from Loyola Law School, Los Angeles. Following graduation, he served as a relief judicial law clerk to two bankruptcy judges in the Central District of California – the Honorable Mitchel R. Goldberg (ret.) and the Honorable Meredith A. Jury. Immediately following his clerkship, Marcus went into private practice, working as an attorney for the respected Los Angeles bankruptcy firm of Sulmeyer Kupetz, APC for over twelve years. 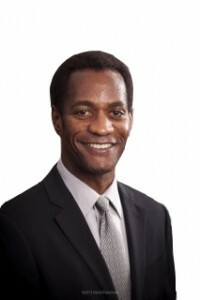 Marcus has extensive experience with complex Chapter 7 and Chapter 11 bankruptcy cases; bankruptcy alternatives such as out-of-court workouts/restructurings of debt, liquidations, and assignments for the benefit of creditors (known as “ABC”s); and related counseling, transactions, and litigation. He has represented a diverse group of clients, including debtors, creditors, bankruptcy trustees, landlords, asset purchasers,parties to contracts with bankrupt debtors, and parties who received avoidable payments or other transfers from bankrupt debtors (including “preferences” and fraudulent transfers). Marcus serves as Of Counsel to Yong Gruber Associates.